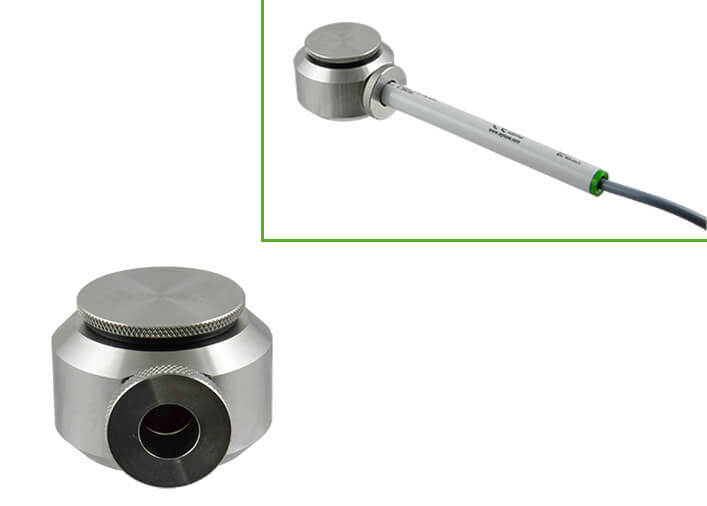 The humidity transmitters as all other measuring instruments shall be periodically checked and eventually adjusted. The most simple solution for this purpose is the E+E Humidity Calibration Kit. The E+E Humidity Calibration Kit is a cost effective solution for calibrating humidity measuring instruments with sensing probes Ø 10-12 mm (0.4-0.47 inch). It is very easy to use and it does not require highly qualified technical staff. The kit consists of a humidity calibration chamber and a choice of E+E Humidity Standard Sets. 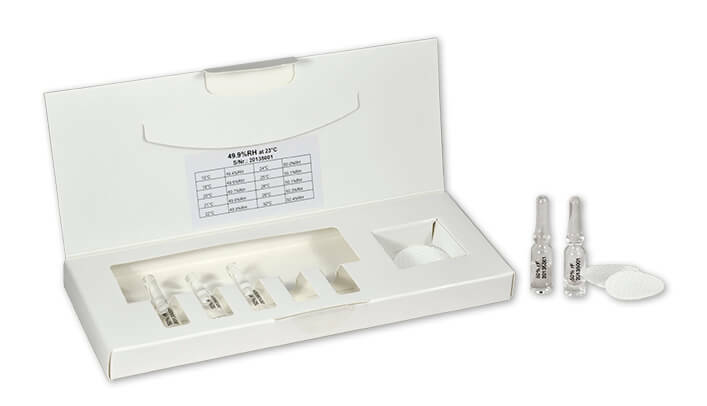 The E+E Humidity Standards are non-saturated salt solutions available in sets of five or fifty single-use ampoules, which may be stored an indefinite time. The salt solutions are non-harmful, handling them does not require specific safety measures. Safety data sheet is available upon request. 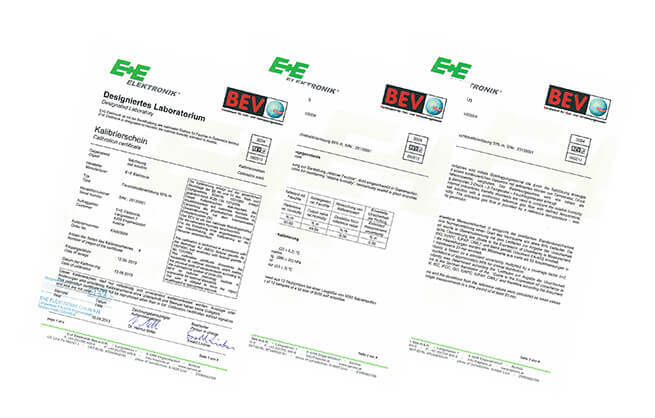 Each E+E Humidity Standard Set is supplied with a traceable calibration certificate, issued by the Austrian National Metrology Institute (NMI).